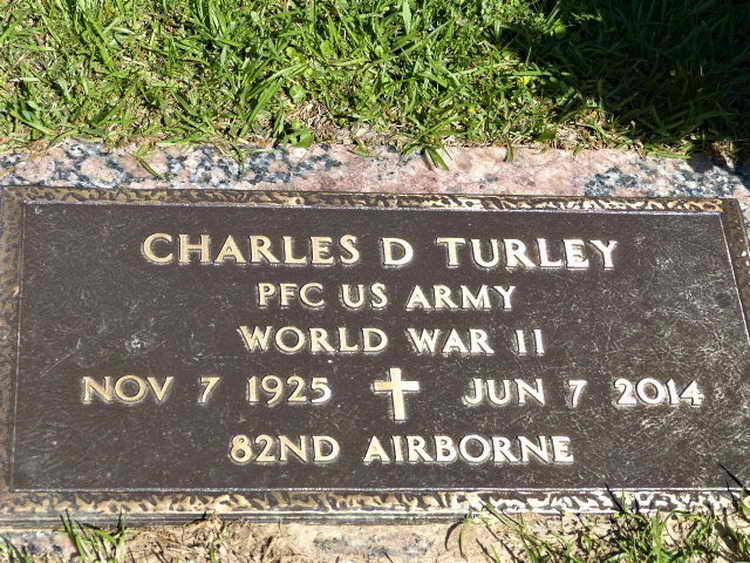 Charles Dean Turley, age 88, of Texarkana, Arkansas, died Saturday, June 7, 2014 at his home. Mr. Turley was born November 7, 1925 in Howard County, Arkansas. He was retired from Cooper Tire, Master Mason of Lodge # in Nashville, Arkansas, a member of 32nd Degree Scottish Rite Master Mason, a member of Texarkana, Arkansas, Shrine Clubs of Sahara Temple of Pine Bluff, Arkansas, an active member of Fairview United Methodist Church and a veteran of WWII, paratrooper of the 82nd Airborne. He was preceded in death by his parents, Edgar Boyd and Ada Smith Turley, his wife, Mattie Turley and two brothers, Herbert Turley, Sr. and Elton Turley. He is survived by his wife, Carol Gulledge Turley of Texarkana, Arkansas; one son and daughter-in-law, Tommy and Cindy Turley of Texarkana, Arkansas; three daughters and sons-in-law, Debbie and Ricky Dyer of Texarkana, Arkansas, Susan and Dan Dennington of Texarkana, Arkansas, and Karen and David Reavis of Texarkana, Texas; two brothers and sisters-in-law, Loy and Billie Turley of Nashville, Arkansas, and Wylie and Roxie Turley of Broken Bow, Oklahoma; one sister and brother-in-law, Jennie Lou and Troy McCullough of Hot Springs Village, Arkansas; nine grandchildren; Wendi Knotts, T.J. Turley, Melinda Smith, Amanda Razaq, Joy Whitehead, Jana Dial, Jamie Stroud, Tim Reavis and Julie Larsen; 14 great grandchildren and numerous other family and friends. Grave markers for Charles and Mattie in the Garden of the Gospels, East Memorial Gardens, Texarkana (Miller county), Arkansas. 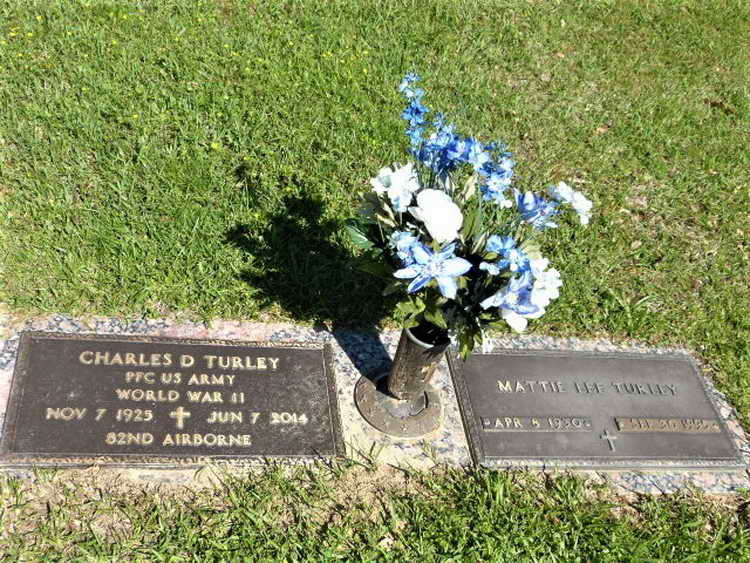 Pvt Turley was transferred from Hq 82nd Airborne Division to service Company, 508th PIR on 29 September 1944. He was then transferred from Service Company to Hq 1st and was promoted to Pfc on 4 January 1945. Charles' military decorations include the Combat Infantryman Badge awarded for action during campaign, 18 December 1944 to 20 February 1945. 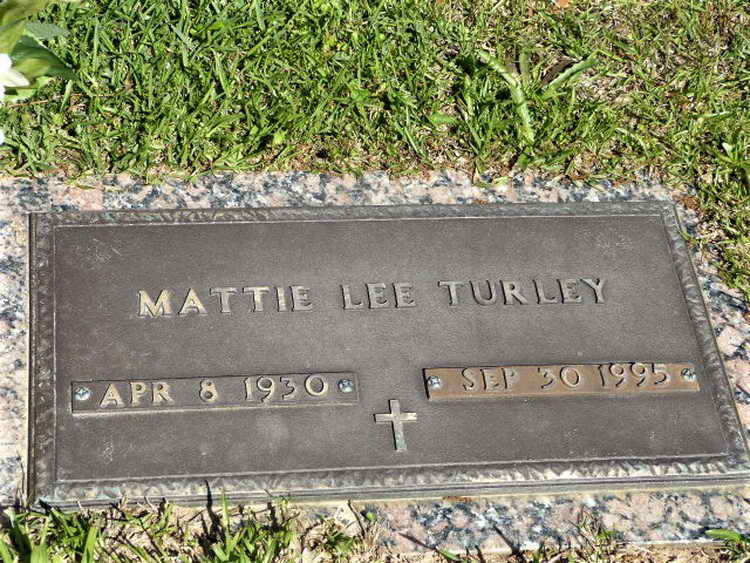 On 17 August 1946 he married Mattie Lee Puryear in Howard county, AR. She preceded him in death in 1995.